The BBC is to blame for an increase in attacks on Polish people living in the UK, a Conservative MP has said. Daniel Kawczynski said the "liberal elite" at the corporation knew they had to cover the subject of immigration. But they would "not do stories about more controversial immigration" and focused instead on the "soft touch" of "White Christians from Poland". 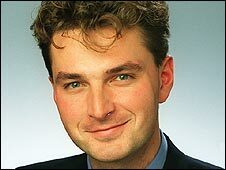 The Shrewsbury and Atcham MP told BBC Radio 4's Today programme the result was more attacks on Poles. His criticism came ahead of a bid in Parliament for a Bank Holiday to celebrate the contribution made by Poles to the UK since 1940. Outlining his Bank Holiday (Contribution of Polish Citizens) Bill, he hailed the bravery of Poles during the Battle of Britain, where they contributed 145 pilots, and the "leading role" Polish cryptographers played in breaking the Nazi enigma codes. He also praised the contribution of the thousands of Polish workers who have come to the UK since the country joined the EU in 2004. "You will not see many Poles on the dole, you will not see many Poles breaking the law. Most Poles are extremely hard working, law abiding and make a tremendous contribution to this country," he told MPs. However, he said he believed the BBC's coverage of Poles in the UK was fuelling violence against them. He said "nine out ten" immigrants in the UK were from Africa, the West Indies and the Indian sub-continent. But he stressed: "The liberal elite of the BBC constantly refer to immigration from Poland because they are using the Polish community as a cat's paw to try to tackle the thorny issue of mass, unchecked immigration into our country. "They realise that immigration needs to be discussed, as it has become uncontrolled under the Labour government, yet they won't dare refer to controversial immigration from other countries, always referring repeatedly to Polish immigration." Having studied the BBC's output, he said MPs would be "amazed at the amount of coverage that the BBC focuses on white, Christian Poles because it's politically correct to do so". He said he was also "appalled" by Trevor Phillips, head of the recently created Equality and Human Rights Commission, for not taking the issue more seriously. "If this was being done to another ethnic minority group it would simply not be tolerated. I expect and demand that the Commission for Racial Equality also focuses on white ethnic minorities in this country so that nobody is penalised and nobody is made to feel like a scapegoat." As chairman of the Conservative Friends of Poland, Mr Kawczynski said he had seen an increase in violence towards Poles and he was "convinced this is as a result of the media coverage by the BBC". Lib Dem President Simon Hughes also praised Poland's contribution to the UK but he told MPs many other nationalities were equally deserving of recognition. Mr Kawczynski's Bill, which has support from a cross-party group of MPs including former Europe minister Denis MacShane, is unlikely to become law without government backing. Earlier, in lively exchanges with Today's John Humphrys, Mr Kawczynski said he was "genuinely fearful" that BBC coverage was encouraging attacks on Poles. "I have said very little about Poles during my three years in Parliament but I have been forced now, as somebody of Polish origin, to raise this in Parliament," he added. About one million migrants from Eastern Europe have arrived in the UK since 2004, with the majority coming from Poland, according to research by the Institute of Public Policy Research. Half of them are thought to have returned home. According to figures from the Office for National Statistics, Poland overtook India in 2005 and 2006 to become the second most common citizenship of immigrants, after British people returning to the UK. A spokesman for the Metropolitan Police said there was "little evidence of a spike" in racial violence against Poles in London. The number of racially motivated attacks against Polish people in the capital has gone up from 28 in 2004 to 42 in 2007, according to the most recent figures. Only UK citizens and Somalis reported more race attacks against them in 2007 in the Metropolitan Police area. Indian people reported 37 attacks, Turkish 30 and Pakistanis 28. But the vast majority of alleged race attacks - 7,619 in 2007 - were those in which no specific nationality was mentioned by the assailant. There have been reports of violence against Poles from other parts of the country. But in January, Sergeant Brian Hughes, of Cheshire Police, told the BBC News website the victims were reluctant to come forward. "There is a general reluctance to report hate crime. There seems to be a cultural resistance to saying it's because of their ethnic origin," he said.